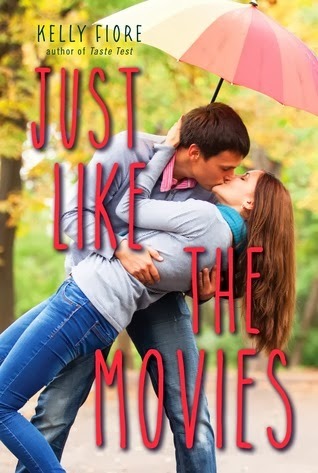 Summary: Pretty, popular Marijke Monti and over-achieving nerd-girl Lily Spencer have little in common—except that neither feels successful when it comes to love. Marijke can’t get her boyfriend to say “I love you” and Lily can’t get a boyfriend at all. When the girls end up at a late night showing of Titanic, sniffling along with the sinking ship, they realize that their love lives could—and should—be better. Which sparks an idea: Why can’t life be like a movie? Why can’t they create perfect romantic situations? Now they have a budding friendship and a plan—to act out grand gestures and get the guys of their dreams. It seems like fun at first, but reality turns out to be much more complicated, and they didn’t take into account that finding true love usually requires finding yourself first. My Thoughts: Yep, this sounds like something I would have done in high school. Act out movie moments to get a boy to like me or fall in love with me, hehe! We are introduced to Marijke and Lily who both have their own set of problems. Marijke’s boyfriend hasn’t said he loves her and Lily’s crush doesn’t even know she exists. So, when they become friends in a movie theater, it all starts. They come up with a plan to help each other and act out movie moments to get their guys to fall in love with them. Marijke and Lily were both so different but they were good as friends. They both understood each other and helped one another grow as people. I didn’t really love Marijkes boyfriend. He just came off as kind of arrogant but I know he eventually was trying to be better. I just didn’t love him. But I did really like Lily’s crush. He would probably be someone I’d fall for. Of course he’s really into standing up for what he believes in but also a sweet guy. I really enjoyed the plot of this one. I liked the movie references and I actually got them! I liked the things they did to get their guys attention. Even though there were a few deep moments this one was a light fun read. Its romantic, cute, and a up all night read when you feel in the mood for something cute. Overall: I enjoyed this one quite a bit. But like I said, its cute. I liked the plot, and I liked the characters but it isn’t going to be one for everyone. For me, I enjoyed it and thought it was adorable! Cover: Love it! Its perfect! And I would run to the store to pick it up if I saw this cover! Love how they are kissing!